The Housing Program provides financial assistance and services to families experiencing homelessness. The goal of the program is to expedite housing and stabilization of the family as quickly as possible. The program provides several forms of assistance, including: identification of affordable housing suitable for the family’s needs; short-term or medium-term rental assistance and housing relocation and stabilization services, including such activities as mediation, credit counseling, security or utility deposits, utility payments, moving cost assistance, and case management. Housing case managers and a housing specialist assist each family to develop a housing plan, serve as liaison between family and landlord, and manage complex issues such as lease options, contracts and apartment inspections. 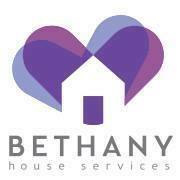 Are you familiar with Bethany House Services, Inc.? Help FreeRehabCenters.org users find out answers.